Corona Johnson is a Jamaica, Queens born photographer who has been practicing the craft for over four decades. After purchasing her first camera, the Minolta XE-7, in 1974, Johnson began capturing the life and times of her family and friends. Her collection of images span from the mid-1970’s to the present day and features the stories of her community. 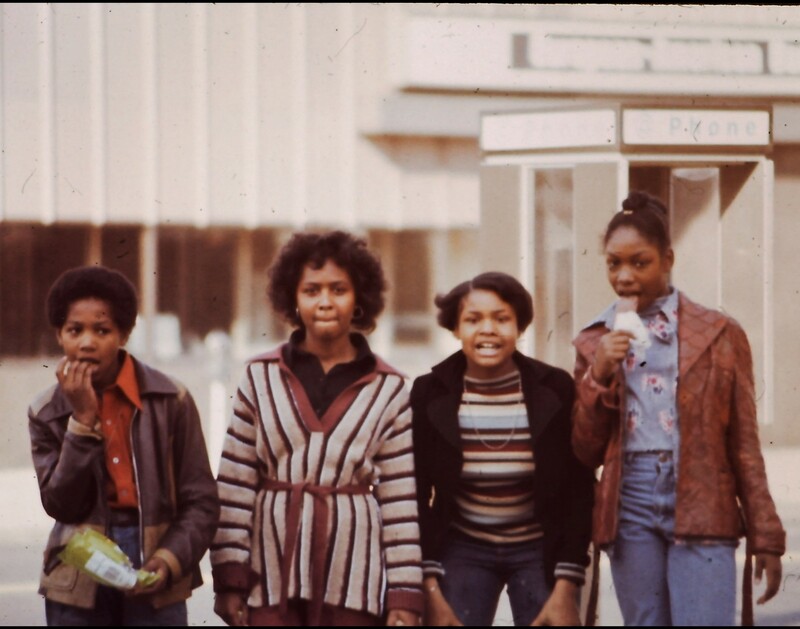 Tweens on the Street, depicts Johnson’s youngest sister with her friends, and was taken in South Ozone Park on Rockaway Blvd and 133rd Street, circa 1977. At the heart of Johnson’s work is her love for family and community. Her images displayed in Notations in Passing at Queens Library are derived from a large collection of photographs taken in Southeast Queens.